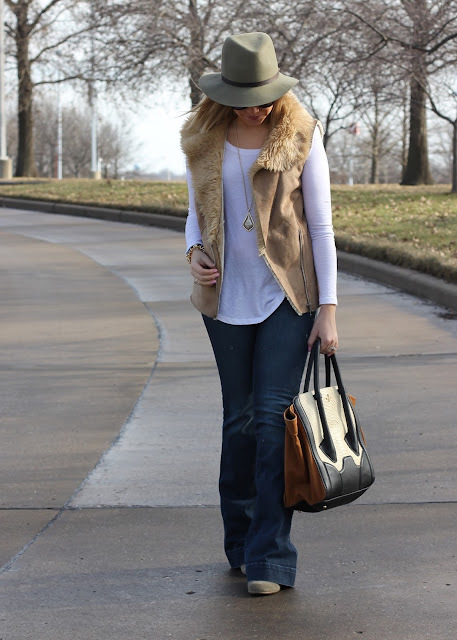 Stylin in St. Louis: Flared…. Happy Monday! Hope you had a great weekend! We had spring-like weather so my husband and I took the dogs on a few walks this weekend! We are trying to teach Zoe how to walk on a leash! She is starting to figure it out! This look was from a few weeks ago. I love how flare jeans give you longer looking legs! Since I am 5'3'', these are perfect for adding length! This vest is a gem, love the 70s feel of this look. 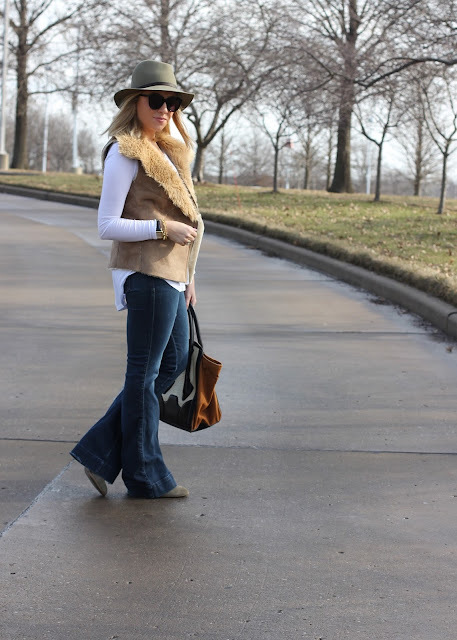 Such a great 70's inspired outfit! Good luck teaching Zoe! Loving the flares and vest combo! We've had some nicer weather here too, and I love it! Those flare jeans look great with that adorable vest & necklace. I have been enjoying the warmer weather we've had here, but now back to the cold!! BRR! Love how the flares look on you! So pretty! Absolutely love this outfit. 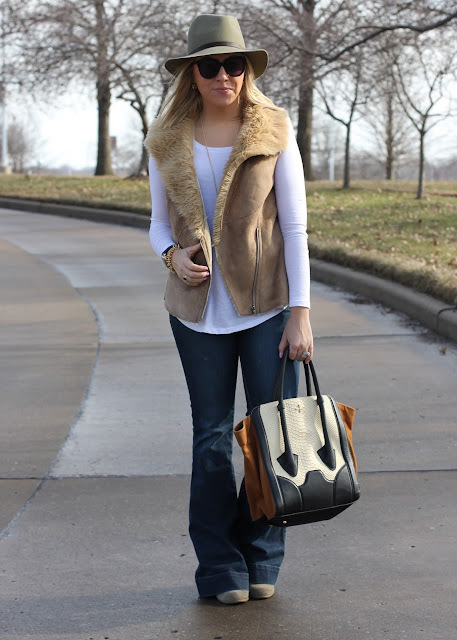 SO cute and that's the perfect vest! Very cute. 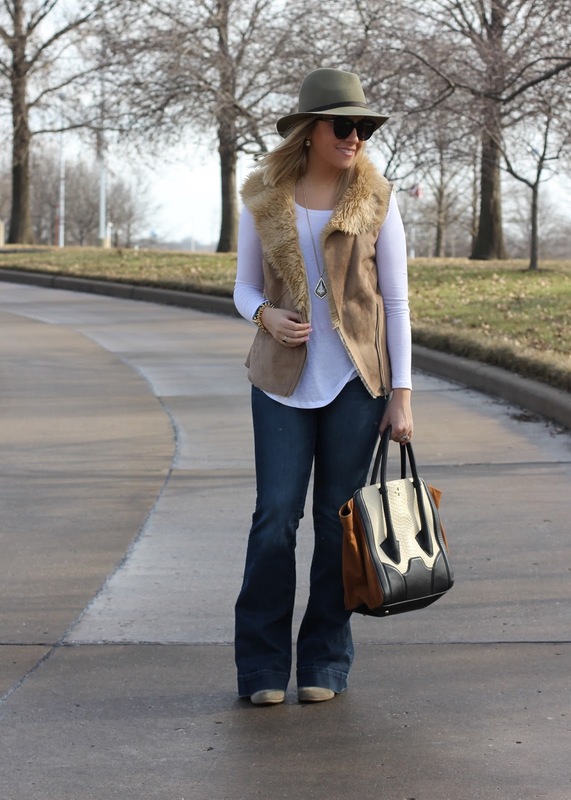 You are looking fabulous in flare! 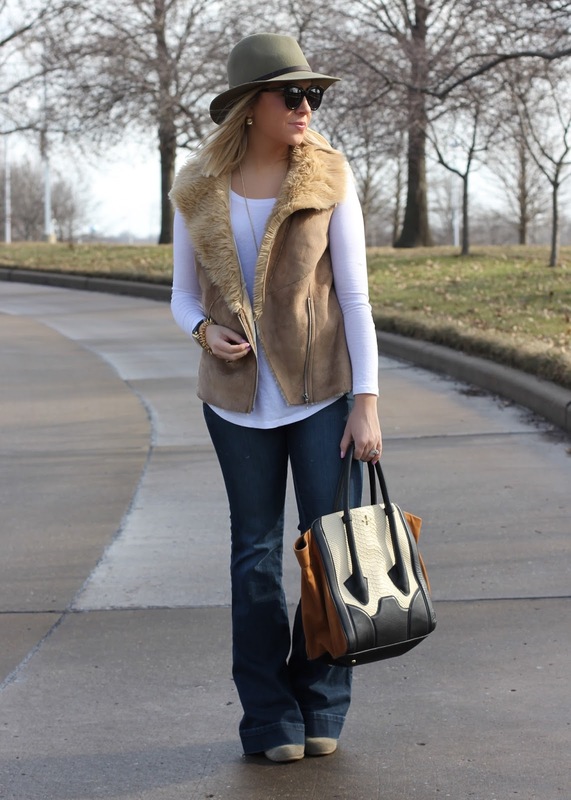 Love the added fur vest. you look great! loving your look!